Don’t just drift through your days. Design a life you love. Living Forward shows you how. Get a Free Workbook with Your Order! In Leadership? Get Even More Bonuses When You Buy 10+ Copies. Order Living Forward, then return to this page to claim access to your bonus via your email. If you’re like most people, you want to lead a life of significance, joy, and satisfaction. But stuff happens. Urgent deadlines, family commitments, and that constant sense of busyness crowd our days, and it’s easy to lose sight of our dreams. We know we were meant for more, but it seems like the days are slipping by and we can’t do anything about it. 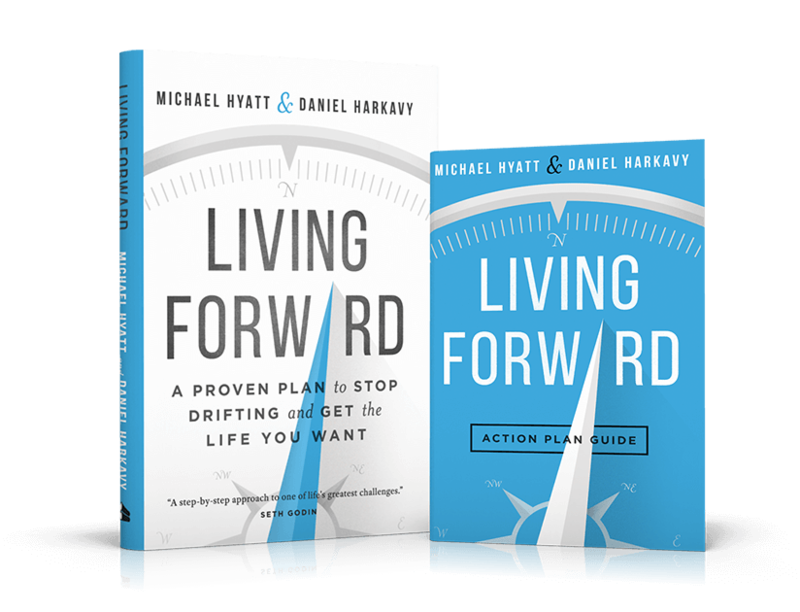 New York Times bestselling author Michael Hyatt and executive coach Daniel Harkavy have both lived the very same story but they rewrote the ending. 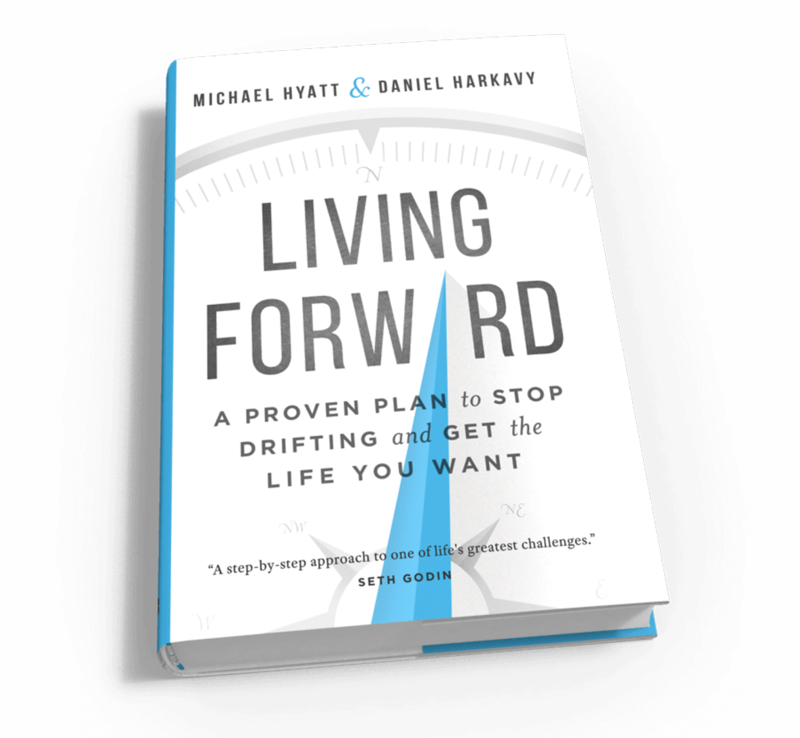 And in their new book Living Forward, they’ll show you exactly how to do the same thing. In this step-by-step guide, Hyatt and Harkavy share simple but proven principles to help you stop drifting, design a Life Plan with the end in mind, and chart a path that will take you there. And you can work the process in just one day. Within 24 hours of reading this book, you can be moving down a clear path toward the life you want. It’s possible, and Living Forward shows you how. Kickstart your life planning process and design the life you really want—which you can do in about a day. Click here if you’d like to order 50 or more copies. Daniel Harkavy has been coaching business leaders to peak levels of success, performance, profitability, and fulfillment for more than twenty-five years. In 1996 he harnessed his passion for coaching teams and leaders and founded Building Champions, where he serves as CEO and Executive Coach. Over the past twenty-five years he and his team have worked with thousands of clients and organizations implementing life plans. Daniel and his wife and family live in Oregon. Does Your Life Feel Off Course? Have you drifted somewhere you never would have chosen? If so, good news: you don’t have to accept it. 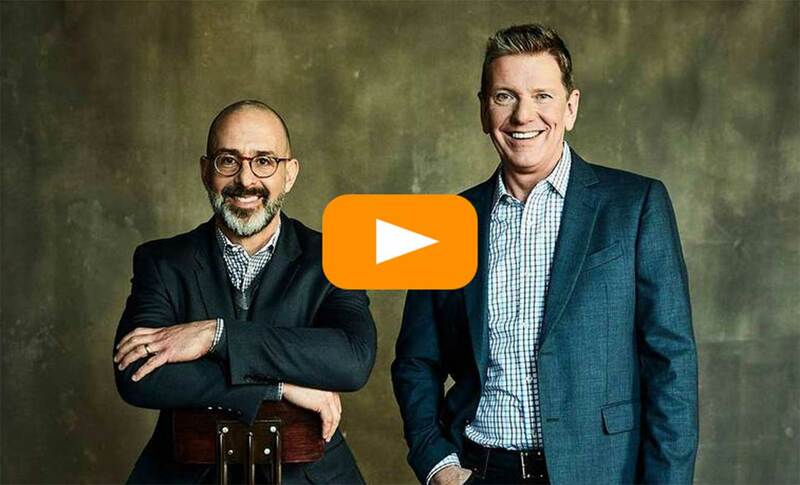 In this free video series, Michael Hyatt and Daniel Harkavy will show you how to stop drifting, take control, and design a life you’ll love. They’ll walk you through a proven life-planning process so you can get from where you are now to where you want to be—whether that’s in your relationships, your career, your finances, or your health. Yes! Send me the Free Video Series! The six powerful benefits of a life plan (if you’re a workaholic, #3 is a game-changer). Exactly what a life plan is and how it goes beyond simple goal-setting. 5 proven steps to create a life plan, including a powerful exercise you’ll remember for your entire life. A framework to give you clarity on living a balanced life, so what matters most to you stops falling through the cracks. A proven, efficient plan for turning your big life plan into manageable daily actions. Clarity and courage to get you moving down the path toward a powerful legacy and a life with no regrets. Who is Living Forward For? Those striving to build a business or ministry without sidelining their personal health, goals, and relationships. Men and women who want to succeed at work and maximize their teams while being fully present in every other aspect of their lives as well. Including graduates and young professionals who want to get clear about their priorities as they start to make their mark on the world. Parents who are weary from the daily grind but long to create an intentional plan for their family’s future. …Or those in encore careers who want to put aside regrets, make the most of each day, and leave a lasting legacy. Whoever wants to stay on track and hold true to the things in life that matter most! For press and publicity inquiries regarding Living Forward, please contact Heather Adams at Heather@ChoicePublicity.com. Get This Exclusive Content When You Order! I’m not in the U.S. Am I still eligible for the bonus? Yes! We are pleased to accept and validate international purchases. And the bonus is delivered digitally via your email address, so there’s no international shipping charge to worry about. Can I buy from any retailer to get the bonus? Absolutely. You can purchase Living Forward from any retailer, either online or in person. Just be sure and save your receipt. You’ll need the receipt number to claim your bonus. You bet. Just order from your favorite e-tailer and then click here to follow the instructions to submit your receipt and claim your bonus. How do I claim my bonus once I’ve ordered? Once you’ve ordered, simply click here and follow the three-step instructions. You’ll need a valid email address and your receipt number. Once you submit your information, you’ll receive a confirmation email, and your bonus will be emailed to you as soon as it’s available. Please note all bonus materials are digital—there are no physical products. When will I receive my bonus, and how will it arrive? All bonus materials will be delivered via email as soon as we can verify your purchase. (This usually takes 20-30 minutes.) Please add michael@livingforwardbook.com to your address book or trusted sender list so these important notifications arrive in your inbox! Please note all bonus materials are digital—there are no physical products. I have another question. Can I get some assistance? Of course! Our support team is here to help. Just email us at support@livingforwardbook.com, and we’ll take care of you. Buy Living Forward from Your Favorite Retailer! Then, return to LivingForwardBook.com to claim your bonus! Simply fill out this form to contact our publisher, and we’ll reply as quickly as possible to finalize your order. Fill out the form below to receive the free video series!